With London Fashion Week's long awaited return I've gone into full planning mode, I've spent this week putting the final touches on my schedule for this season and trying to decide what to wear (which is always the hardest task!) 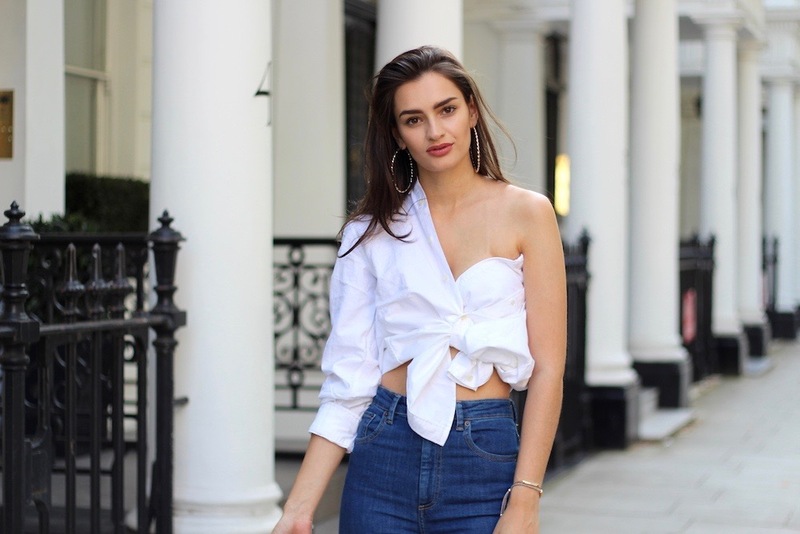 I've turned to Pinterest and Instagram to see what some of the most fashionable women have been wearing across the globe and shirts are pretty huge, it's not just your standard white shirt though, it's a white shirt with a twist. I decided to give it a go myself with an oversized mens shirt from Gant, after experimenting a little bit wth the buttons and sleeves I found something that worked and I kind of really love it. Thoughts? Now I know it's not for everybody but it's an easy way to make a statement with something the majority of us have in our wardrobes already (or it's something we can steal from our boyfriends wardrobe). 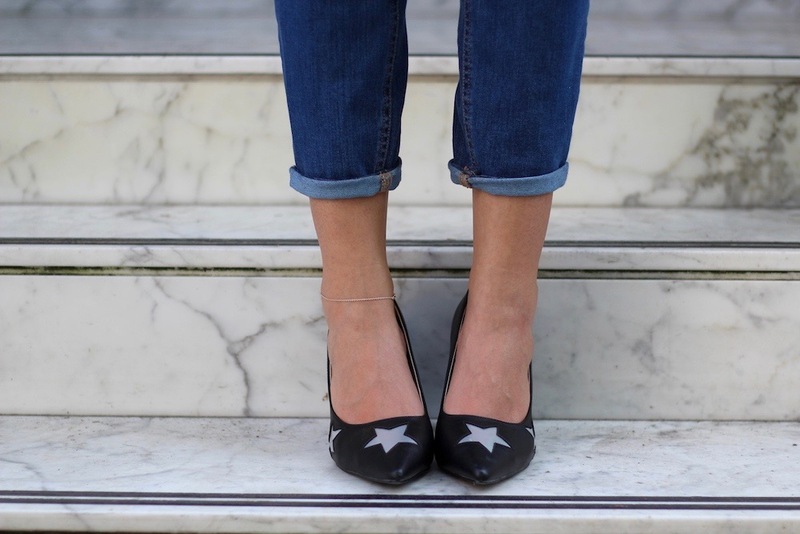 I picked some heels with a star print all over to pair with this and my favourite ASOS jeans of course. And that's it, that's how I choose what to wear for fashion week, usually I mix some of my favourite items with current on-trend pieces. LOVE the shoes, they are so cute!